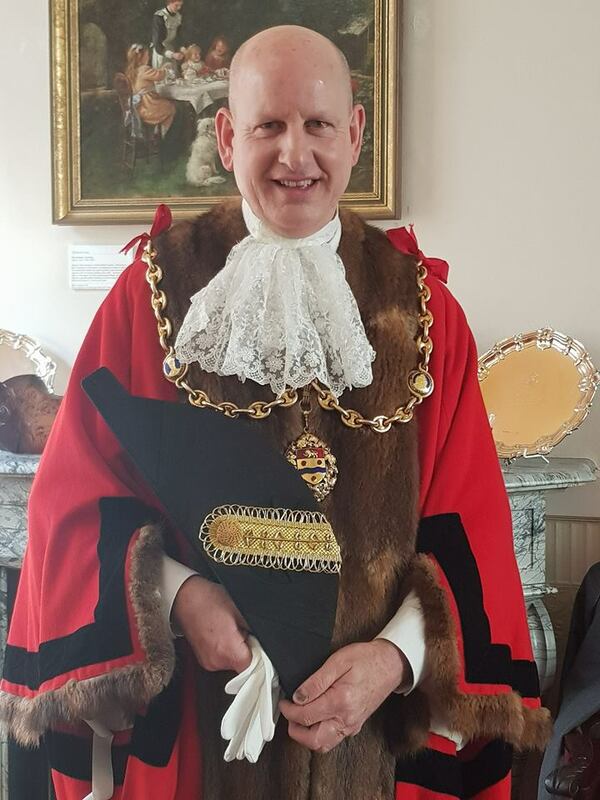 The Mayor of Maidstone is Cllr David Naghi. David was born in May 1957 to Ena and Alex and has three brothers Peter, Stephen and Alan. David has lived in Maidstone since he was 3 and is father to three children, Mark, Clare and Alan and proud grandfather of 2 year old Willow. His Mother is still active at the age of 92. David has been a self-employed builder for 40 years and has worked across the whole Borough. David is Chairman of Maidstone Sea Cadets, Centre Manager of the Howard de Walden Youth Centre, a past Trustee of Cutbush and Coral Alms Houses, and a former member of The World Custard Pie Championships Committee. David became a Maidstone Borough Councillor in 2002 representing East Ward as a Liberal Democrat and has served as a member of the Culture and Leisure Committee and the Licensing Committee. You can invite the Mayor to an event by using our online form.